We have a wide range of venues for your Meeting in England, from intimate suites for private one to one meetings to larger spaces for bringing together the full board. The following are just a few of our favorite English venues but get in touch today with your requirements and our team will be happy to help you find the perfect solution for you. 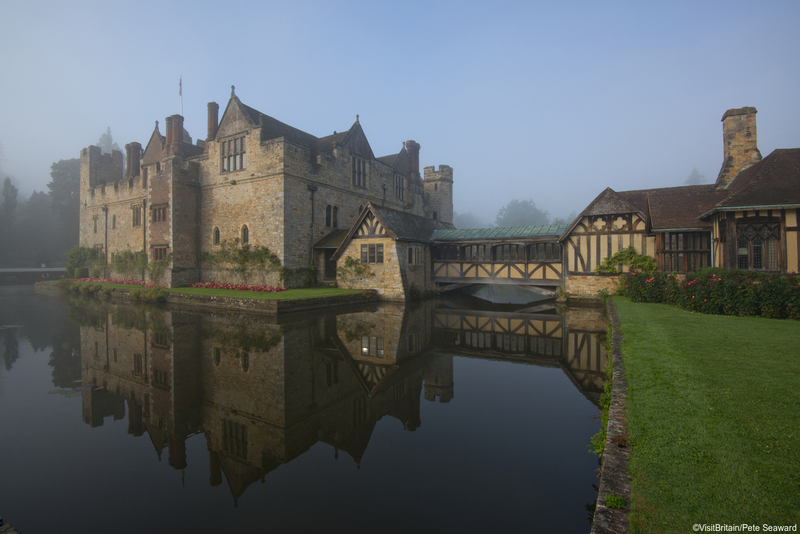 Hever Castle is best known as the childhood home of Anne Boleyn however it’s more recent history is also interesting as it was lovingly restored to it’s former glory in 1903 by William Waldorf Astor of the well known American Astor family. The Astor Wing which was built at that time in the Tudor style as a beautiful addition to this historic property and offers a truly unique space for your meeting requirements. The oak paneled Tudor Suite is sure to impress offering a suite of rooms ideal for hosting an intimate meeting with the dining room at it’s heart which can seat up to 24. You will also have access to a billiards room and accommodation is also available on site. One can’t help but think that a meeting at Blenheim Palace would get a seal of approval from Winston Churchill himself who was born here in 1874. 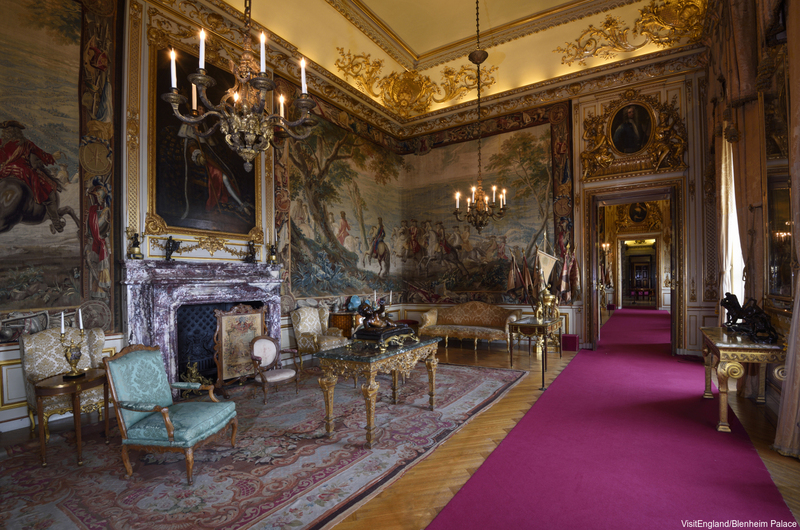 Imagine holding an intimate meeting in the State Rooms (pictured below) or hosting a dinner within these hallowed walls. Larger spaces such as the Great Hall, Saloon and Long Library are also available for larger scale events. More modern meeting rooms are also available with evocative names such as the Spencer-Churchill and Campaign rooms. 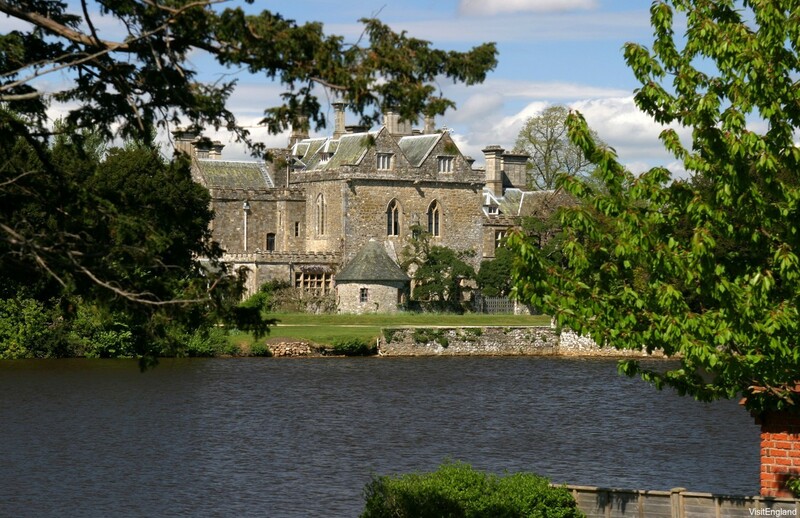 This would also be a good location for team building as there are tailored options including a James Bond-style assignment as well as English country pursuits such as archery, falconry and fishing in the estate’s lake. 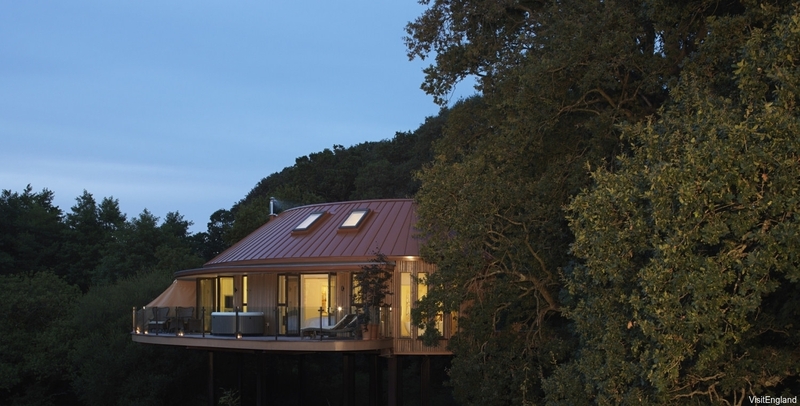 Imagine holding a meeting in a tree house… Believe it or not this is an option at Chewton Glen – a rather luxurious tree house I might add as you can see from the picture below. While the tree house suites are certainly a novelty there are a range of lovely meeting rooms including the Library and the Clubroom which can both seat up to 16 delegates, the Wardroom which can accommodate up to 20 and the Lake Suite which has it’s own private entrance and can seat up to 40. Accommodation is available on site (how about sleeping in a tree house?) and the property also offers a state of the art spa and numerous activities including clay shooting, a croquet masterclass and even duck herding. This incredible location offers three unique venues with multiple spaces available to suit your every possible need. The Palace House is the ancestral home of the Montagu family and offer some of my favorite spaces – the Lower Dining Hall comfortably seating up to 36 delegates and the Drawing Room which can accommodate 50 guests on banqueting round tables. For something even more unique you can arrange to “dine among the cars” at the National Motor Museum which is also a part of this incredible attraction. This unique space can accommodate up to 150 guests for dinner or 1500 for a reception. Other options include meeting rooms for 2 – 25 guests and a lecture theater that seats up to 220. Finally the Domus which is part of Beaulieu Abbey and was originally the lay brothers’ dormitory offers a unique space catering for up to 130 guests ideally suited to a Medieval Banquet. We will look after all the arrangements for your Meeting in England from start to finish. With a variety of English locations and accommodations to choose from you will find the ideal venue for your business needs. We customize your corporate gathering to suit your specific requirements so contact us now to plan your next Meeting in England.